Other than grammarians, I have never met a teacher who was gnawing at the bit to teach their students grammar (present company excluded). At the very least, it can be frustrating, boring and students generally don’t seem to retain any of the information we teach them. So, what are the best instructional practices to reach more of our students when it comes to grammar? This question has puzzled educators for the last 100 years. Even in the late 1800’s educators knew that students might memorize grammar rules long enough for a test but then not really know how to apply it. Today, though we have experts like Constance Weaver and Jeff Anderson to help guide us through some best practices, it still feels like we are losing ground in the grammar world with our students. There is no doubt students today are much different than when I went to middle school 27 years ago. Cell phones and technology are a huge part of their lives and it’s no secret…it isn’t going away. I have always been fascinated with the implementation of technology and how students can use their devices without it being a distraction in the classroom. 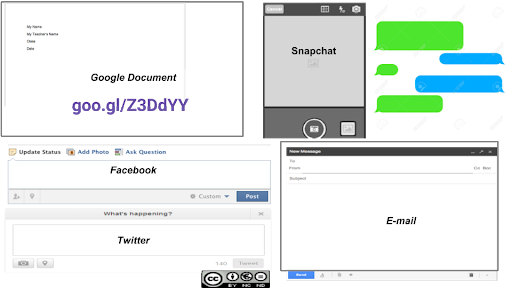 So why not approach grammar using students’ own experiences with digital spaces? The first concept that I wanted my students to understand was the difference between formal and informal writing. I also wanted to communicate respect for the spaces my students write in everyday. To help with this, I created a grammar template that my students could use to differentiate between the spaces they write in everyday and that I could use to teach them the necessary grammar skills they needed to be successful in high school and beyond. This template is free to use and you can find more information on it in From Texting to Teaching: Grammar Instruction in a Digital Age. I always begin our grammar instruction process by having an informal conversation with my students about their writing spaces and their existing grammar skills. This past school year was no different. However, as my students worked on the grammar template throughout the year, I found myself having more and more conversations about what students actually do know about grammar. 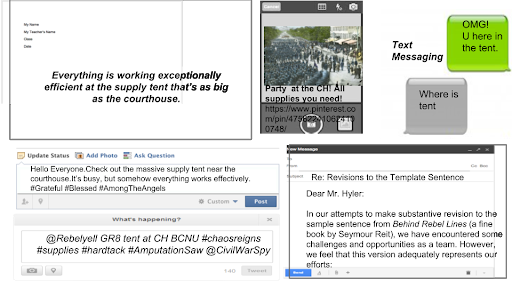 You can see an example of a completed template below where students used a sentence from Behind Rebel Lines by Seymour Reit. “Mr. Hyler, we do use correct grammar. I actually get mad at my friends when they don’t use the right kind of your when they text me,” responded Cassidy. “Wait, so if you your friend doesn’t reply with you’re as in you are, that makes you upset?” I replied. Cassidy followed up, “Yes, it’s annoying!” Her classmates echoed her response as students began talking about it amongst themselves. My students don’t like the response “K” after they have written a long text. In fact, it angers them that they don’t get a thoughtful response. My students can differentiate between formal and informal writing and they know it depends on the audience of their writing. It is evident students have their own “language” when it comes to texting in my school district. 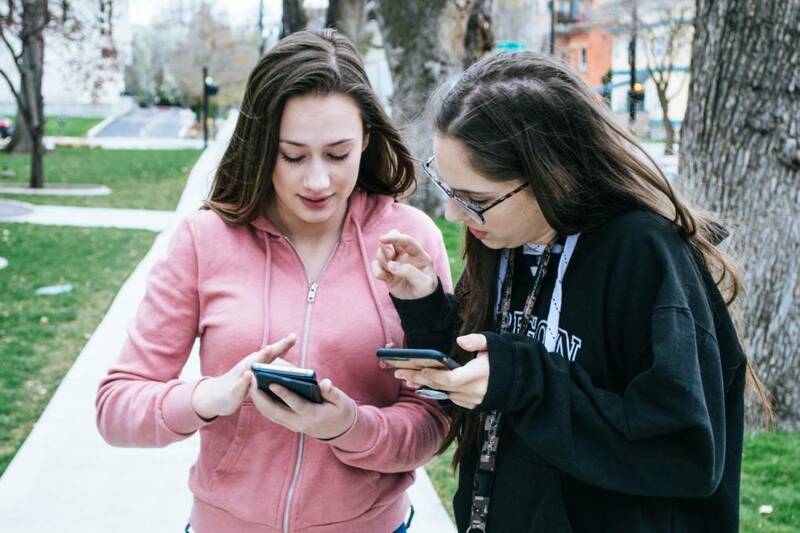 They may have shared abbreviations when responding to their friends, which may vary from terms used by another group of students of the same age. Mixing up “your” and “you’re” isn’t the only grammar mistake that frustrates students. Mixing up too, two, and to can also get under some students’ skin. I found that many students don’t like the fact that their peers use the symbol 2 instead of writing it out. The more and more I talk with my students about using correct grammar without preaching to them or assigning some boring, out-of-touch lesson, I start to realize that students do know correct grammar. Furthermore, they do know the difference between formal and informal writing. Finally, technology is not to blame for the grammar issues that may face our students today. After all, I can barely remember grammar in middle school or what lessons and activities I participated in. Today, with devices in all of our hands, the question about how best to teach grammar to our students may be asked for another 100 years.